If you are a car racing enthusiast, you will probably love both, watch all the races, know all the cars and drivers and be up-to-date with all the latest technical developments, specs and circuit news. Both world renowned car racing circuits enjoy enormous popularity, drivers earn millions of dollars and TV networks just can’t broadcast enough events. Sponsors are equally keen and advertisers keep on benefiting from the huge popularity of races and events. The Figures: In 2011 Formula One reported a turnover of $1.5 billion, compared to the NASCAR’s $629 million. Formula One’s top drivers earned between $37 and $12 million dollars, while NASCAR drivers made between $28 and $21million. Nearly 300’000 spectators were recorded at the Australian Grand Prix that year, compared to 182’000 people attending at Daytona. There are only 24 Formula One Drivers compared to 50 NASCAR drivers, NASCAR held 36 races while there were 24 Formula One Races. The Tracks: Stock Car Racing Tracks are usually oval shaped and feature two road courses, while Formula One drivers have to negotiate both left and right turns. A driver spends a mere 3 seconds at a Formula One Pit, while NASCAR drivers average at 12 seconds per pit stop. NASCAR races are held in 37 US states and in Mexico and Canada. 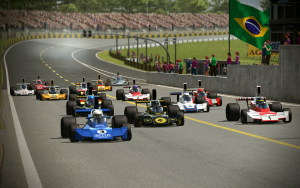 Formula One Races take place in 19 countries spread over four continents. 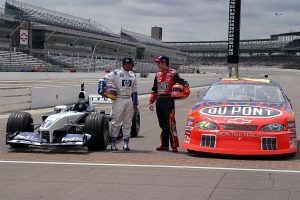 The Cars: Chevrolet, Ford and Toyota are the most dominant NASCAR construction teams while Red Bull, Mercedes, Ferrari and McLaren are the top Formula One construction teams. Formula One cars are considerably lighter and weigh approximately 1’300 lbs, compared to the 3’400 lbs weight of NASCAR cars. Top speeds come out at 205mph for Formula One Cars and 200mph for NASCAR cars. To maneuver around tight corners, Formula One Cars have a lateral G force of 5, compared to the habitual 2G of NASCAR cars. The cars are obviously very different in design and while stock racing cars resemble everyday saloon cars, Formula One cars are specifically designed for aerodynamics and speed. If you want to purchase a Formula One Car, you will need to spend over $7 million, while a NASCAR car will only set you back $1.5 million. Steering Wheels: NASCAR cars have a regular steering wheel and gears are changed manually with a gear shift paddle. The steering wheel of a Formula One car is entirely different and drivers operated and control the ignition, oil pump, clutch, gear shift paddle, traction and many other car functions by pressing various buttons on the steering wheel. This obviously makes for a completely different driving experience and requires a new set of skills. Critics of Formula One Racing say that it is boring, that hardly anybody ever overtakes and that spectators ultimately just wait for the lap count to go down. NASCAR critics bemoan that the cars only ever turn left and that the cars a primitive when compared to Formula One cars. People imagine that Formula One cars are constructed in high-tech sophisticated laboratory like factories, while NASCAR cars are believed to be thrown together in basic car factories. All of that is beside the point, though, because both NASCAR and Formula One enjoy huge popularity, profit from gigantic sponsorship deals and sell off TV rights at top dollar. Both deserve our admiration and respect, drivers take huge risks and manage to thrill spectators all the way across the finish line. Praise must also go to the men and women who design and assemble these amazing vehicles and keep coming up with new ways of making them even faster. In the 2011 Formula One season, viewers witnessed approximately 80 overtaking maneuvers. That same year, there were 88 lead changes in one single NASCAR race! 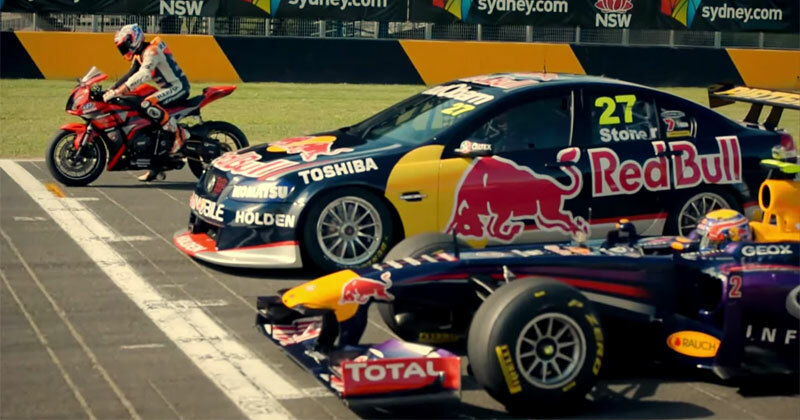 In Formula One, drivers at the back of the starting grid have virtually no chance of winning a race, while a NASCAR driver will never have to worry about passing out countless cars on his way to the front. NASCAR is far more action-packed and exciting and spectators’ hearts will stop on more than one occasion. There is no fear of falling asleep at a NASCAR race, but you just might nod off during a Formula One race!